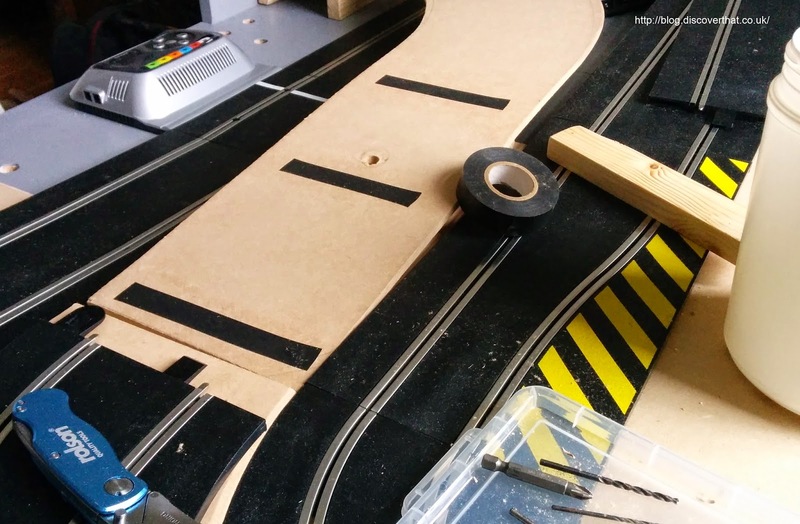 I got quite a lot done on the track this weekend and I've started a thread on the SlotForum for the progress of this layout. The construction is simply MDF screwed to timber battens. 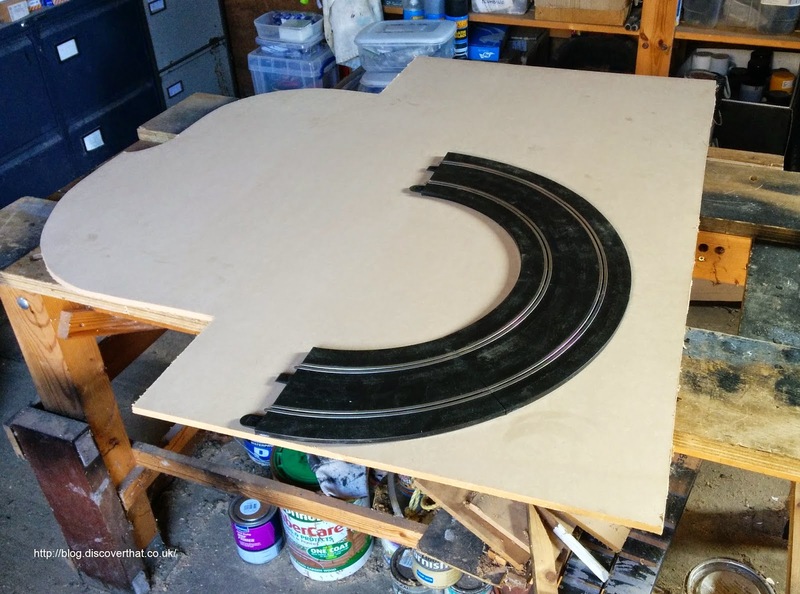 Where the screw heads are under the track I have covered them with insulation tape to avoid any chance of an electrical short on the track conductors. 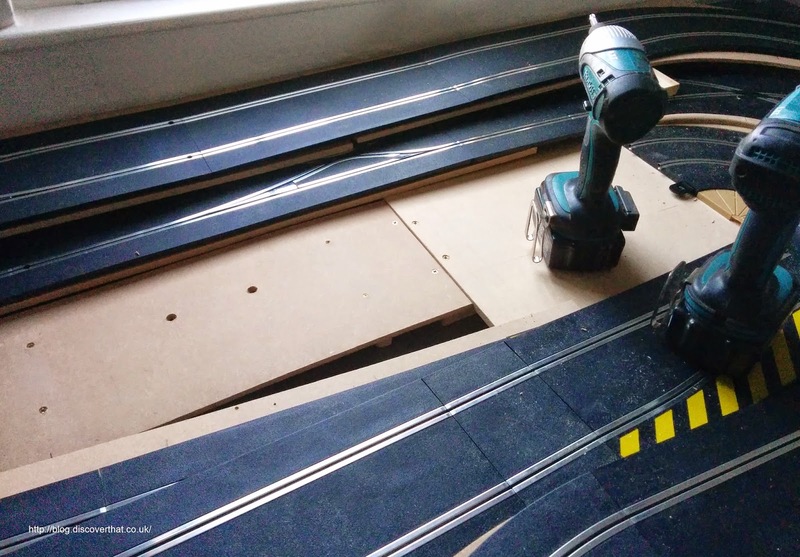 All the lower levels and ramps are secured in place and I've made some holes ready for the booster cables. I am now working on the long overhang. I won't need my complicated design for the overhang, a simple balanced cantilever with a strong bit of timber will be more than enough. It probably needs another days's work before it will be drive-able.